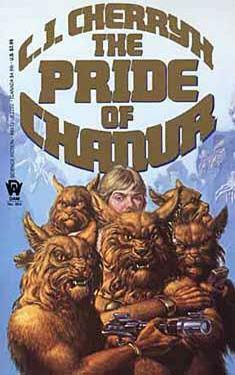 If you liked The Pride of Chanur you might like these books. No one at Meetpoint Station had ever seen a creature like the Outsider. Naked-hided, blunt toothed and blunt-fingered, Tully was the sole surviving member of his company -- a communicative, spacefaring species hitherto unknown -- and he was a prisoner of his discoverer/ captors the sadistic, treacherous kif, until his escape onto the hani ship The Pride of Chanur.